KATHMANDU, Nov 21: Ten years after signing the signing the Comprehensive Peace Accord (CPA) since the decade-long civil war came to an end, the former Maoist guerrillas now feel that the agreement was 'a tool for party segregation and compromise on the promises made'. Ram Krishna Khatiwada aka Prabhat of Sindhupalchowk, who was among the 19,000 UNMIN verified combatants, had left his home at the age of 17 with the dream of creating a new Nepal. Khatiwada, a former platoon commander at PLA's 3rd Division based in Shaktikhor, Chitwan, had remained in dirty makeshift cantonments along with hundreds of comrades after the peace deal was signed. His father used to be a military personnel associated with the then Royal Nepal Army. “As most of my family members were associated with the Maoist party, my father was compelled to resign from the military force in a bid to save his life,” said Khatiwada, who had received financial package to rehabilitate in the society as per the peace deal. Echoing Khatiwada, Babu Ram Rai 'Biwash', originally from Sankhuwasawa district, also expressed mixed views over the peace deal citing that the document was 'misinterpreted' over the period of time from various power centers. “Even as a major signatory of the peace deal, the Maoist party failed to advocate for the cause of the decade-long war but instead settled for parliamentary practices,” Rai, who was a deputy commander at a brigade of the 1st Division Cantonment based in Chulachuli, said. More than 16,000 people, including the rebels, members of ruling parties, security forces as well as the commoners died, while thousands were injured during the civil war that ended in 2006. The whereabouts of about 1,300 people are still unknown and hundreds of families were displaced during the war. But Rai is still hopeful about 'real' changes that were promised in the past but with a different leadership. For him, the battle is still underway but only the modality has changed to achieve the aspirations made during the peace deal. Rai, who served two years of jail term in India after he was arrested during treatment, remained dissatisfied with a small number of former Maoist combatants being integrated in the national army. 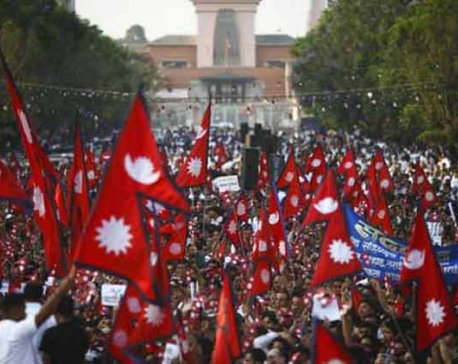 About 1,462 former combatants including 70 commanders had joined the Nepal Army. “A huge portion of former Maoist combatants are still looking for the changes, striving hard to integrate in the society but no one is worried about them,” he said. Another former Maoist combatant Purna Biwakarma from Rolpa also expressed serious dissatisfaction over the Maoist leadership for not addressing the issues promised to the socially excluded and marginalized communities. “The rising dissatisfaction among the former PLA combatants and the promises left unfulfilled will lead to a new revolution in the near future,” he claimed. He stressed on the need for a credible transitional justice mechanism as the current transitional justice system has created dissatisfaction among the national and international communities as the greviances of the real victims have been overlooked. 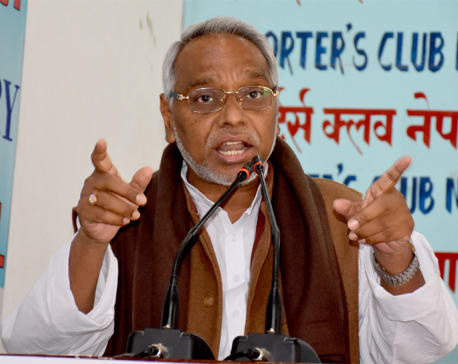 “Instead of ensuring war victims with rights to truth, justice and effective compensation as promised in the CPA, the issues have become a tug-of-war among the power centers,” said Bishwakarma. “I lost everything for the sake of the People's War but the CPA crushed our party, leaving us nowhere,” Biswakarma, who served as company commander at the 3rd Division in Shaktikhor for a short time, added. However, the former PLA combatants were unhesitant to credit the CPA for making the country secular and republic after various twists and turns in the revolution. But the real achievements of the 'People's War' were compromised in the name of institutionalizing the achievements through the Constituent Assembly, they said.